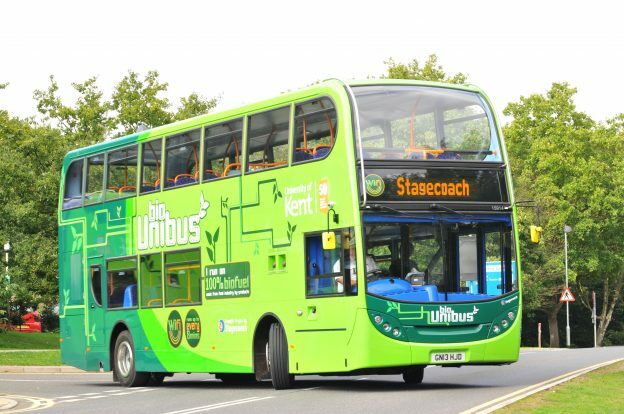 Using the Bus around Canterbury – things to do! The University of Kent unirider is valid on all Stagecoach buses in Kent and East Sussex, not just the bus you need to get to Uni. That means you can use it for days out too. Whether you fancy a bit of shopping, a day at the coast or a bit of local history – if there’s a Stagecoach bus there then you can use your unirider! Heading to Dreamland amusement park or Westwood Cross for a bit of retail therapy? Route 8 buses run between Canterbury to Margate throughout the day. The buses have free WIFI and USB charging points too! For a day at the beach why not try the Triangle! Triangle buses run from Canterbury to Whitstable or Herne Bay. Triangle buses towards Herne Bay stop right outside Wildwood Animal Park too! Triangle buses also have free WIFI and USB charging points. If it’s history you’re after take a visit to the famous Dover Castle on a route 15 bus – relive the courtly days of King Henry II, and venture deep underground in the Secret Wartime Tunnels. Jump off at Pencester Road and walk up the hill or catch a route 80/81 bus to take you up there. Travel in style on a Stagecoach Gold route 16 bus to Folkestone. Visit Folkestone’s Harbour Arm, the food, drink and entertainment destination for the town. The gold buses have free WIFI and luxury leather seats too. To buy or use a University of Kent unirider ticket, you’ll need a valid university student ID card. The student number on your university ID card must match the student number on your ticket. You are required to present your student ID card to the driver each time you use your unirider. This entry was posted in News and tagged bus, bus travel, stagecoach, Unirider, where to go on September 27, 2017 by ls472.